Every day, clients ask us about PayPal. The idea behind PayPal is simple; use secure software to receive money from your customers via computers. You can pay with any credit or debit card, and the balance is processed via PayPal's system to deliver 100% secure funds into the designated account. The simple idea has grown to over 5 million active accounts within Australia alone. In summary, PayPal is BIG business and we ensure PayPal can be easily integrated into your website, meaning your website is equipped to take orders exactly like all the major eCommerce brands do. In this page, we outline what you can do with PayPal, how easy it is to setup and operate, and all the things you need to know about getting your business in tune with PayPal. PayPal makes receiving donations hassle free and effective with instant fund transfers. Indirectly, through your website, with a "Donate Now" button. PayPal makes it effortless to Send professional online invoices. With any PayPal account, you can create and email custom invoices to your customers and clients. Best of all, Your customers can pay you quickly and easily with their MasterCard, Visa or American Express card, or their PayPal account (see below). For PayPal's detailed overview of the process, click here. When it comes to being paid, PayPal makes cash collection easy and efficient and provides a complete online payment solution, accepting credit card, debit card and PayPal payments on your website. You can receive invoice payments with a "Pay Invoice Now" application on your website. Your customer just enters in the invoice number and the amount they wish to transfer before the payment is made. If you have an accounting system like Xero, MYOB or Sage, you can link your invoices to PayPal "Pay Online Now" so that your cash reconciliation is even easier and payments are made faster. Present your goods online, but sell offline (via bank transfer or physical transactions i.e. in person) - no PayPal required. Present your goods online and sell them online (using PayPal or another credit card processing application). For the best eCommerce results, PayPal Express Checkout ensures seamless integration to any website, allowing your customers to buy your products with the best possible experience. Alternatively, we can use our proven Weebly eCommerce functionality to ensure a dynamic online retail experience. 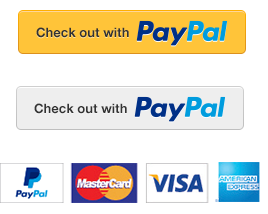 PayPal for Digital Goods works in the same way as PayPal for physical goods (above), but instead of getting an item via mail, your customers are able to download your digital file right from your website. PayPal Digital Goods allows you to process payments on your website and have them delivered seamlessly. Small Business Web Designs fully integrates your digital goods into your PayPal account, giving you control and the ease of making updates to your files to ensure a successful ongoing service to your customers. If you operate a club, magazine or any type of business using a subscription-based business model, receiving money can be tricky. PayPal offers a seamless Subscription service - your customers can purchase automatically recurring subscriptions from your website, or even using a link in an email. PayPal offers a low-cost way for you to accept credit card and bank account payments for subscriptions, newsletter fees, club dues, or recurring donations. Small Business Web Designs fully integrates such functionality with your PayPal account, saving you ongoing time and money with improved buyer experience. For more details about PayPal subscriptions and recurring revenue, please read PayPal's overview. Avoid the compliance of the Business account, which is burdensome and unnecessary for small and medium sized Australian businesses. Ready to take the first step? 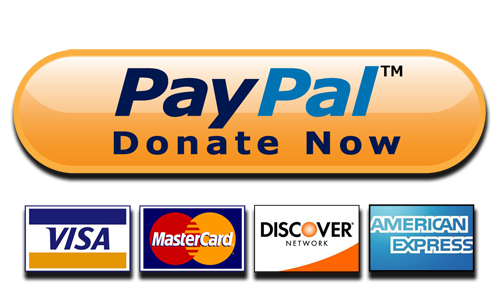 Click to complete the PayPal Premier Application Form now. The best thing about PayPal is thaat there are NO monthly fees. The following transaction fees apply to payments received through Website Payments, Express Checkout, Digital Goods payments, subscription payments, online invoices, and when you accept PayPal through a platform such as Weebly eCommerce. For other fee information, please see the Australia PayPal fees page. Ready to Get Ahead With PayPal? New Client? Contact Your Sales Manager to Proceed with the Integration that Best Suits your Business! Existing Client? Contact our Wonderful Support Team who will ensure a seamless integration that gets your website PayPal enabled!